We have often speculated that blog networks will play a key role in the future of publishing. We decided to get an expert’s opinion and talk with Jeremy Wright, the CEO of b5 media. ZDNet defines a blog network as “An organization that hires people to write blogs. It sells advertising and owns the blogs.” With more than 290 blogs, 15 vertical channels and over 10 million unique visitors a month, b5mediais clearly one of the largest blog networks in operation today. Jeremy Wright is a serial entrepreneur, some have even said a “blogpreneur” for his focus on communications-oriented ventures. He is also the author of Blog Marketing, designed to help businesses figure out blogs, and use them to get into the conversation with their customers. In addition to running b5media, he also writes the blog Ensight, a popular business and technology blog, and consults on blogging, communication, IT and time management. In our interview, Jeremy provided insights about the inner workings of blog networks and what he sees for the future of this nascent publishing medium. FPP: Technorati has indexed over 100 million blogs. Why do you think blogs have become such a powerful publishing medium? Jeremy: There are really 2 kinds of blogs (as far as I’m concerned): personal/family blogs and “professional” blogs. Personal blogs are really all about you telling your family how you’re doing, what you’re up to, etc. In some ways, social networks like Facebook are starting to take the place of this kind of blog. But personal blogs are about expression, connecting with people you know and love, etc. For these kinds of blogs, this is the first time in history that we’ve been able to basically pen pal with everyone we care about, which is incredibly powerful. The second kind is “professional” blogs, which is really 2 camps: those who are blogging what they love and are good at (at least in part) so they can improve their career, establish new connections, network, establish themselves as thought leaders, etc. And the second kind are commercial properties which range from one guy writing about something to make money all the way to true blog-based content companies like b5media, Gawker Media and Know More Media. FPP: What is a blog network? Are blog networks like online newspapers or magazines, or do they represent a new type of media? Jeremy: In a lot of ways a blog network is like a magazine, just without the paper. Some networks, like Gawker Media, treat each blog as their own magazine (complete with editors, researchers, correspondents, etc). Others group blogs together and treat the whole as a magazine (this is how my company, b5media, does it). At the same time, they definitely represent a new form of media, as they really bridge the gap between mainstream media’s “we talk, you listen” metaphor and blogging’s “we talk, we listen” metaphor. It’s still commercial, but the best of these blogs (or magazines) are the ones that serve both metaphors: quality content, interactive conversation, by/for/with passionate people. FPP: Do blogs in a network intentionally reinforce each other with shared readership? Or do they operate as standalone media properties? Jeremy: The ability for a network to grow and establish a community of bloggers who are all passionate about similar topics (be it technology, business, entertainment or fashion) is really where the magic happens. Sharing strategies, linking to relevant stories across multiple blogs, drawing energy from the community… These are what make blogging at a healthy network so much more enjoyable than blogging on your own (which can often feel quite lonely). At the same time, the individual blog still has its audience to serve. So bloggers in a network are able to write for their audience, while drawing strength, inspiration and energy from the community. FPP: What do you believe are the key success factors for a blog network? Are there particular metrics you use to measure the effective of blog networks? Jeremy: The best metrics for any online company are the hard and fast ones: traffic, revenue and growth. But those don’t really speak to what it takes to achieve those key metrics. Each network motivates writers, chooses content areas and builds out the network differently. For us, we’ve always believed that if we keep writers happy, they’ll produce great content. And great content will mean more traffic. And with enough traffic it’s hard notto make money. So we focus a lot of energy on community and blogger happiness. We also regularly conduct surveys of our bloggers, our readers and our partners to see how we’re doing on the “soft” elements of success. End of the day, a strong network has a strong editorial side with committed and energized writers, a solid business behind it, and talented folk to run technology, ad sales, marketing and admin areas. FPP: Many authors have successfully gone from blog to book. 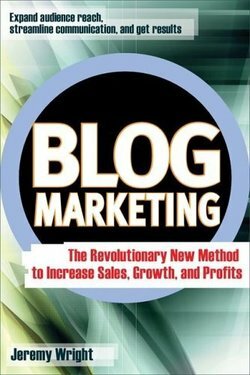 Do you think it is feasible for book publishers to set up blog networks to enhance and scale this process? Jeremy: That’s an interesting question. It’s not something I’ve seen yet, primarily because book publishers tend to exist to promote a book at launch, and then sit back and wait. The exception to this rule would probably be O’Reilly, which publishes a lot of information online, and encourages its authors to publish a lot of information online both pre and post-publication of the book. The idea of publishers getting into daily publishing is interesting, but it’s probably outside the DNA of all but the most technically-oriented publishers (where daily content is the norm). After all, if a publisher can’t do a weekly newsletter, can they really run 10-20 blogs, all with daily content? FPP: What services do blog networks typically provide the writers who work for them? What type of compensation models are currently used by blog networks? Jeremy: In terms of compensation, there are typically 3 types: revenue share (where the writer gets a percentage of the revenue the network earns), payment per post (often with a traffic bonus) and flat-fee (ie: like a contract writer would make). All 3 models work, though revenue share tends to put all the risk on the writer so is often used by networks when they’re starting out (to keep costs down). But, all 3 models can work. At b5media, we use a combination of flat-fee for meeting the writing requirements (which is kind of payment per post) along with a traffic bonus, though we’re currently evaluating new pay models. In terms of services, most networks really just ask writers to write and try and get them and their blogs exposure. I know at b5 we try and do as much as we can for our writers, ranging from free hosting for their personal blogs to training and from attempting to arrange press access for events to promoting the individual blogger in every way we can. It’s certainly one of the things writers should ask about before joining a network. FPP: What traits does a writer need to have to be effective in a blog network? Jeremy: I’ll defer to some of our most prolific writers on this, but in a recent training session, Leora Zellman and Mary Jo Manzanares said the most important things to have or develop were fantastic time management, to find your source of motivation daily and to both have your own quiet space and to reach out to other network writers so that you aren’t alone. FPP: Blog valuations and acquisitions have become hot topics recently. What factors does b5media take into consideration when evaluating a blog purchase? Jeremy: At b5media we have an internal engine we use to value a blog’s worth. We typically stay within range of that valuation when we acquire blogs, but sometimes there’s something that’s intrinsically more valuable than our model takes into account, so we don’t mind deviating. For us, traffic, revenue, unique visitors and subscribers are the key metrics. We’re able to gauge pretty successfully how well a blog will do over the long term with these metrics, so tend to stay pretty close to them. If it’s more of a strategic buy (we recently purchased a video platform company, for example, and are currently negotiating for a podcast network), then other factors may come into play that can bring the valuation up or down. As with any acquisition, you set your initial boundaries and then either go up or down based on strategic or external factors (such as a trend towards or away from text links, in the case of our most recent acquisition). FPP: Where would you like to see b5media in the next 3 years? Do you think book publishing is part of its future? Jeremy: While we might do a few e-books or encourage our authors to do books, I don’t think we’ll get into the book industry in a big way. I do see e-books as being a potential growth area, though. Beyond that, I’d like to see b5media move beyond the “blog network” box. We’ve started to do that a bit already by licensing our platform to Know More Media, doing ad repping, syndicating our content, etc. But we need to do more. I don’t want to get into specifics, largely because I believe talking before you have something to show is bad luck ;-). FPP: How do you see blog networks evolving in the future? Jeremy: Well you’ll definitely see more consolidation and more partnerships. The last year has already seen a dozen or so of these (we’ve led 3-4 of them), but the pace will continue to quicken as the larger networks are able to grow traffic and revenue more quickly than the smaller ones, the larger ones will simply pick up small to medium sized networks because it’s cheaper than building blogs themselves. Beyond that, you’ll continue to see a meshing of blog networks with social networks (9rules and Instablogs have started to do this, and our gateway release at www.spekked.com will continue this trend over the next few months), and you’ll see more partnerships between blog networks and mainstream media networks (online and off). This entry was posted in blogs & writers, Interviews, open publishing, publishing analytics, publishing networks, publishing strategy, readership strategies and tagged b5media, blog network, Ensight, Jeremy Wright. Bookmark the permalink.